These Free Printable Halloween Labels, are a set that I created last year for my craft blog. I’ve been moving things around, some of you have probably noticed, and am working to consolidate all of my content on this one blog. So I apologize if you already have these from last year, but hopefully they will be new to some of you, and better yet, I’m hoping they will be easier for all of you to find! 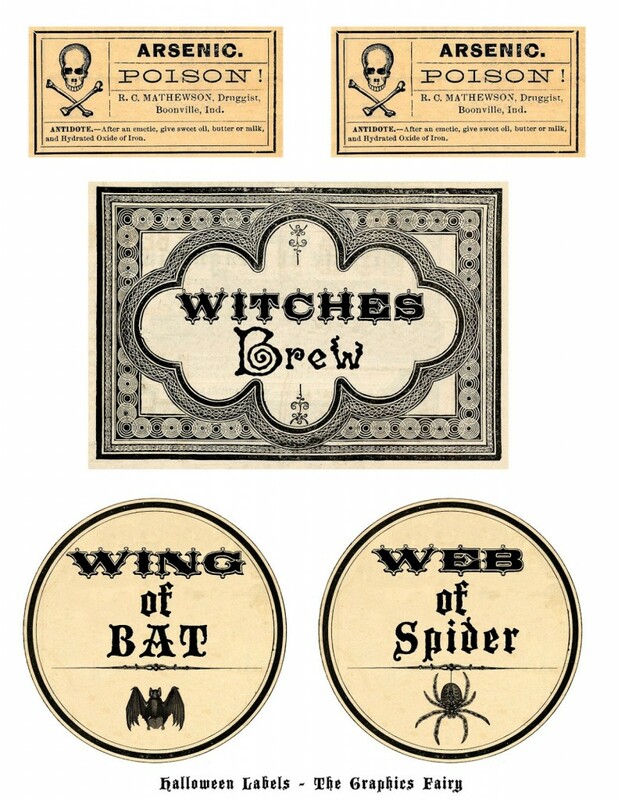 I used several Antique Apothecary Labels, in order to create this set and tweaked them to make them a little spookier! 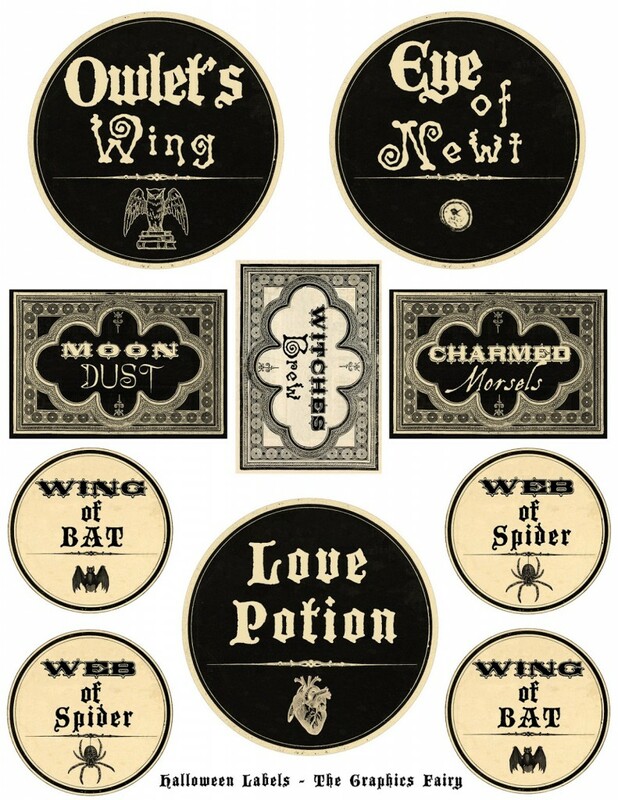 The Arsenic Poison labels are original Vintage labels, and the others… including the Witches Brew, Wing of Bat, Web of Spider, Owlet’s Wing, Eye of Newt, Moon Dust & Charmed Morsels, are my own creations. These would be really fun to use for a Halloween Party or great to add to some Glass Bottles, to make potions, for a Spooky Halloween Vignette! You could print them out on Full Sheet Label paper to save time, or use regular paper and some Mod Podge or glue to apply to your projects. I hope you like them!! 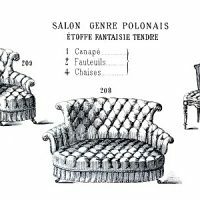 Victorian Clip Art – French Furniture – Paris Label Fancy Weather Vane Image! 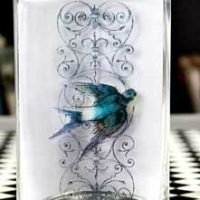 DIY Clear Contact Paper Transfers! Thanks so much for the nice images, it’s really appreciated !! Thank you for these great tags….just perfect for my Halloween projects. Thanks for sharing! These labels are awesome! These are just wonderful – thank you! These images are great! Thanks so much! Thank u. What fun they will be 2 use. These are great, I love collecting poison labels. Thanks for sharing these… they are awesome! Thank you!!! These are great!!! Fabulous labels! Can’t wait to use them on wine bottles! Thanks! Thank you, I just printed these out!